Mentally Healthy - Does the creative industry have a mental health problem? Welcome to the Never Not Creative podcast. The audio companion to the Never Not Creative community. We'll be interviewing and chatting with community members, discussing issues and making announcements. 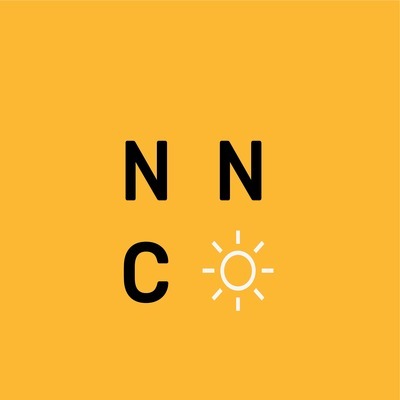 Never Not Creative is a community for creatives to come together and tackle the challenges we face in the creative industry. From how to manage and improve your mental health, to getting paid what you're worth and everything in between. We catch up with Katy Cowan, the founder of Creative Boom. The online magazine for the creative industry that supports and provides resources for anyone working (or thinking of) in the creative industry. Katy shares stories of freedom, growing a side project, and finding the balance of doing what you love AND helping others. Is growing business the goal, or should we focus on growing ourselves and managing our mental health? Oh, and is a mid-life crisis actually a thing? 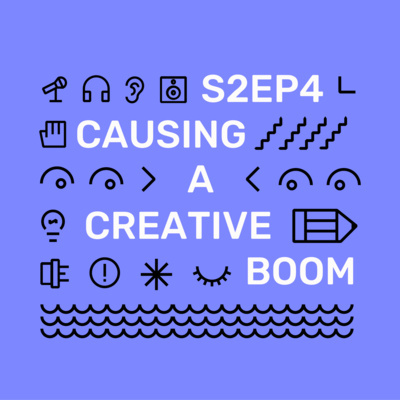 Check out Creative Boom and creativeboom.com. Please share with friends and leave us a review wherever you're listening to this. We love to feel special! Back in 2 weeks! 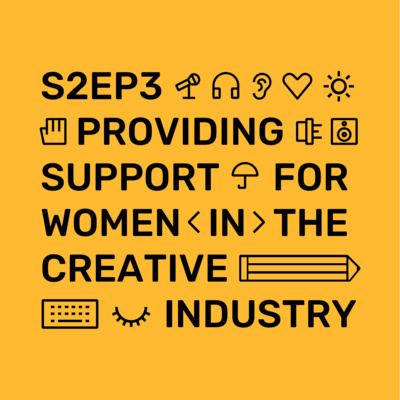 In this episode we get frank about the experiences of women in the creative industry. Mirella Marie is the founder of Womentor. An international mentor network for female graphic designers. Mirella talks to us about the inspiration for Womentor and how it has evolved into a global program. We also find the link between design and crime as Mirella shares her passion for criminology and the part she plays in the RMIT innocence project. If you're interested in applying for Womentor, head to womentor.com.au (no matter where you are in the world). Thanks to Mirella and thanks to co-host Sarah Nguyen! Ideas for future guests? Please drop us a line via nevernotcreative.org or in the Facebook group (just search never not creative). Or email on hello@nevernotcreative.org. Please rate us on your podcast player and share through your favourite social networks. It really, really helps us grow the community and spread the word. It's the second half of our review show. Sarah and Andy discuss internships with the highlights from our chats with Adam Thorn (journalist at Mumbrella) and Dean Jacobson (a creative from Melbourne). We get into parental leave, re-capping on our chat with Kate Pollard (Co-founder, Circle In) and finish off by re-opening the discussions with AGDA from the end of the year. As always, please share your favourite bits on social media, tagging @nvrnotcreative. Come and discuss the themes in our Facebook group, and please share any ideas you have for future topics and guests. We'll be back again in 2 weeks. To kick off season 2, we review the best of season 1. Andy and co-host Sarah, go back to the start to discuss vulnerability and struggle with some of the highlights from Andy's chat with Josie Young and Tina Victoria Afshar. We also talk egos and feelings with Kit Palaskas and re-cap on the magical 5hr working day with Charl Laubscher from Love and Money. Part 2 is up next week. If you'd like to share, this is a great one for intro-ing friends and colleagues to Never Not Creative. Ideas for future guests? just hit us up at @nvrnotcreative or in the Facebook group. In the second part of our chat with Nic Eldridge, CEO of AGDA, we focus on the future. What are the challenges facing AGDA as we enter 2019? How will AGDA remain relevant? Nic also adds some clarity on who AGDA is, who it's for and what it isn't! This is our last episode of the year. Please rate or review us, share with your friends etc etc. That would be a nice little Xmas gift and take no time at all! Have a great holiday and we'll see you in a month or so. As we move into the final weeks of the year, we have special guest, Nic Eldridge. Nic's the CEO of AGDA (the Australian Graphic Design Association) and a major voice in the design industry. In this first part of 2, we talk about the recent AGDA awards, the role of a jury, how to pick one, and how work wins awards. If you like the podcast, please give us a rating on your podcast platform of choice and share with friends and colleagues... it would be greatly appreciated! In this episode, we talk to Kate Pollard. Kate, is the co-founder of Circle In, a startup focused on creating a community to improve working conditions for working mums. It’s a big issue and one that can help with other challenges around gender, fairness and equality in our industry. You can find out more about Circle In at https://www.circlein.com.au. They’ve got great resources, articles and more to help improve the confidence of women going back to work and educating all of us on the importance of sharing the responsibility of parenting across men and women. This week we launched the results of the Mentally Healthy 2018 research – one of the largest studies into the mental health of the creative, media and marketing industries. If you didn't get the chance to watch the live stream or attend the event at Twitter then don't worry. This episode is all about the results. Visit nevernotcreative.org for a link to the slides if you'd like to follow along as well. Special thanks to our partners Everymind and UNltd. Jules Ehrhardt is obsessed. Obsessed about the future of our industry and changing the terms of business for the creative class. How do we stop creativity being seen as a commodity? Can we make equity for expertise a reality? What does a new creative economy look like? Jules is a former Co-Owner of Ustwo, the author of The State Of The Digital Nation (look it up on Medium) and founder of Pledge Parental Leave and Fktry. This is just part 1. Much more to come next week. This episode, Andy's on his own. So this is the perfect opportunity to let you know what's been going on and what's coming up in Never Not Creative land. From some early insight into the results of the Mentally Healthy survey to who you can look forward to hearing from in the next episode. Plus, news on upcoming events in Sydney and Melbourne. Thanks for listening, please like, review or share on your platform of choice, and get involved at https://nevernotcreative.org or on Instagram and Facebook. Internships - could standardised programs be the answer? This is part 2 of our chat with Dean Jacobson, a designer from Melbourne. We disagreed on the subject of whether all internships should be paid. In this episode we start to discuss whether there are solutions that could make internships better and more valuable for the intern. Whether an standardised program could be a solution and if clarifying the difference between mentorships and internships could help. As we're getting into solutions, it would be great to hear what you think. Please message us via the website https://nevernotcreative.org or in the community at https://facebook.com/groups/nevernotcreative. If you like the podcast, please share it in your social feeds, with friends and colleagues and give us a review on anchor, itunes, or your podcast channel of choice. If not, let us know why. We'd always love to make it better! Episode 12 brings us back to internships. 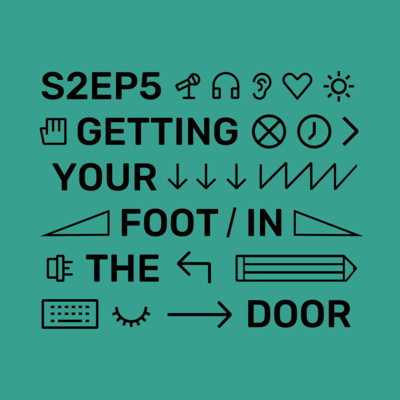 They’re such a great way to get a foot in the door, prove your worth and start a career. But, should they be paid? Is there a maximum duration? What’s a good one look like? How can you steer clear of a bad one. Andy chats to Dean Jacobson a designer from Melbourne after having a mini “agree to disagree” chat on Twitter. This episode is part 1, setting the scene with intern experiences and the beginning of a dialogue on whether there is actually an issue to be addressed when it comes to internships. What are we worth? And what should we be rewarding? In part 2 of our chat with Gabby Lord and Maggie Tang, we get inspired by Gabby's tweets (@gabbylord_ if you're not following already). From the unachievable expectations of job ads, to the cost of award entries and what it's like to stick your neck out and hope you don't get shot down. In the second half of our chat with Kitiya Palaskas, things get very real and very personal. Kit has started an initiative called the Real Talk Project (realtalkproject.net). It's a project to encourage openness and honesty and to help reduce the stigma around admitting if and when you're doing it tough. Adam Thorn is a journalist for Australia's media, marketing and creative industry news site, Mumbrella. For the last few months he's been investigating unpaid internships in the media industry. He shares his findings, the stories he uncovered and the potential solutions for making starting a career, much more accessible. In this episode we interview Charl Laubscher, the founder of Love + Money. Charl has had a fascinating journey through creative agencies and used that experience to start up his own. Love + Money have recently moved to a shortened work day, quality of work and productivity is up, and people have more time in their personal life! A first "mini" episode recorded while walking to and from the Mumbrella Health Marketing Summit to launch our research study, Mentally Healthy 2018. Let us know if these mini episodes are a good idea. And if you're happy with speed over quality. Airpods and iPhone for this one. In part 2 of our chat with Josie and Tina we discuss are we giving people entering the creative industry the best possible start? Should interns be paid? If not, what does that mean for others who can’t afford to work for free? We chat with Josie Young (Christopher Doyle & Co.) and Tina Victoria Afshar (Common State) about being a woman in the industry and what we can do to find better balance and inclusion. Big thanks to Josie and Tina who gave up their Saturday afternoons to record this. 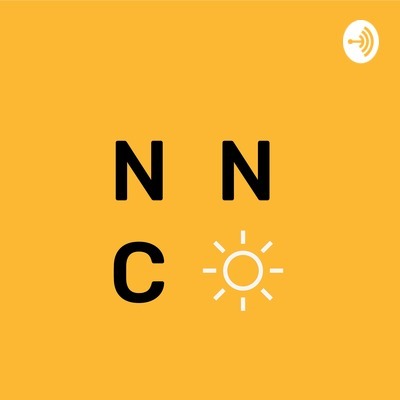 An intro to the Never Not Creative podcast and what we're up to as a community for creatives.